After bowling the fourth delivery of the fourth over, Thakur was seen to be having considerable pain as he started hobbling. 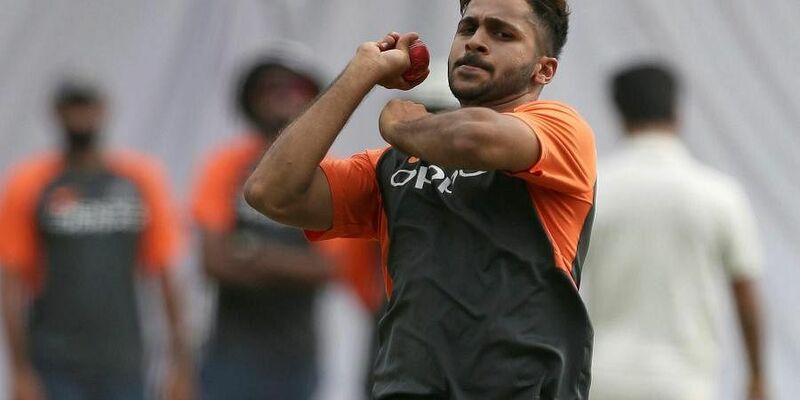 HYDERABAD: Shardul Thakur's much-awaited Test debut turned into a nightmare as the India speedster was forced to leave the field due to a groin strain after bowling only 10 deliveries on the first day of the second Test against West Indies here Friday. Once physio Patrick Farhart came inside the ground, the pacer was seen showing what looked like a groin strain. He then left the field after a couple of minutes of deliberation with captain Virat Kohli and the physio. Ravichandran Ashwin completed Thakur's over by bowling the last two deliveries. The extent of Thakur's injury and his further participation in the match is yet to be ascertained. This is the second time that the 26-year-old broke down in back-to-back international matches. In September, Thakur was sent home from the Asia Cup after complaining hip injury following the Hong Kong game.